Planning your next big celebration? Wondering where to begin? Making a perfect host is a challenge confronted by event party organiser. Leave the stress out and hire a celebration planner who can handle A to Z of the party arrangements. You can count on Kiyoh, Event Planner in Chennai. We have partied hard and know where to find the best party supplies and how to turn your party into a fabulous celebration. Get ready to be dazzled with our creative and brilliant party themes that can leave you awed. We have learned the art of being organised, and this has helped us reach great heights. We are happy to share our expertise to make your life uncomplicated. Kiyoh gives you the peace of mind to enjoy your event while we take care of all the arrangements. Kiyoh, planners for a birthday party, come with just one mission, to make the event enjoyable and memorable. 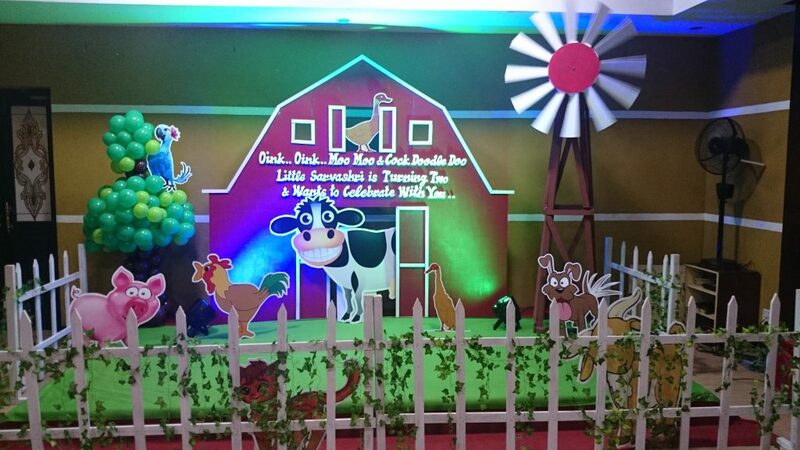 Our kids birthday parties are loaded with exciting activities, shows, acts, inflatables, fun rides and more. Our spectacular events are creative and unique. We create interesting themes and design layouts, event formats and decors to make your party the talk of the town. For Kiyoh birthday planner, no event is big or small. We can accommodate clients of any size and budget. Our birthday party packages are sure to suit your goals and budget. We plan according to the number of guests. We create exceptional decorations to make sure the party gives your guests a remarkable experience. Party preparations are extensive and rigorous, while you have limited time and resource to fix everything. In most cases, you let your expectations free and may have to think on your feet. How to make it work without messing up with the arrangements? There may be unexpected obstacles like venue flooding, catering supplies being delayed, power outage and much more. Most of us are not experienced enough to handle emergency situations, and this could ruin the spirit of the party. We are happy to pitch in for help. Being in the industry for long, we understand the nuance of the business and are capable of handling the problems instantly thereby ensuring that it does not dampen the party. Celebration planning is a combination of hard work and fun. The importance of minute details is amplified. Sometimes it may be trivial to the guests but yet it could ruin the entire gathering. We are committed to excellence and ensure that every event leaves a lasting impression on the guests. Kiyoh leaves no stone unturned in bringing to life the vision of the clients to give them fullest satisfaction in all aspects. Kiyoh is aware that no two events are alike and therefore the importance of customised party services and planning is crucial. The planning is the reflection of the desires and goals of the host. We are here to create an extraordinary party experience etched in the memory of your guests forever.